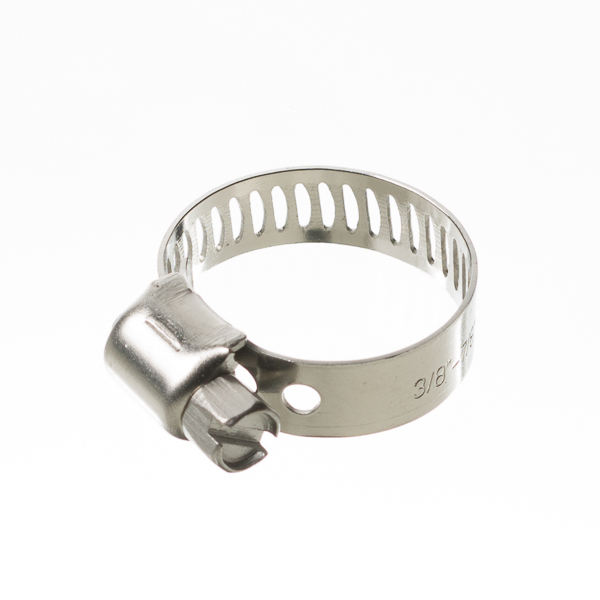 Reusable perforated band clamps to crimp beverage tubing to barbs. This clamp fits 7/16" - 5/8" outer diameter beverage tubing. Requires a medium flat head screwdriver or a hex nut driver to install. Made from 300 series stainless steel.